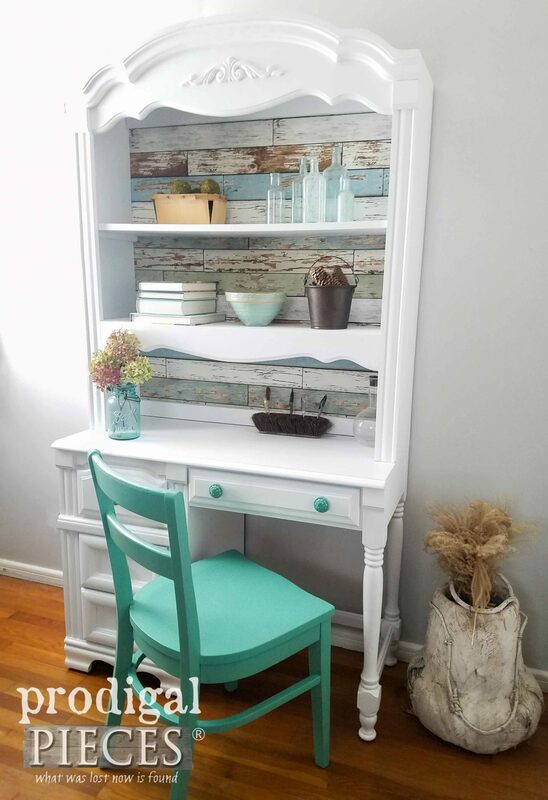 This hutch desk transformation wouldn't be the same without the flawless, white finish! The Ultra White color looks stunning when contrasted with the turquoise chair and wooden backsplash. These used to be your standard, brown kitchen chairs that you see in every home! With a little bit of Ultra White and gold paint, these chairs were turned into unique statement pieces. After fixing your wobbly furniture, paint your piece with Ultra White! This will be sure to make your guests think you bought brand new furniture. We love the way that the curves of this table stand out against the paint! Even wicker has been influenced by the Ultra White frenzy! This modern paint color looks stunning when used on wicker furniture, making it the perfect color choice to brighten up your porch or patio.